Warm and sunny, and surrounded by the waters of the Mediterranean, Croatia’s Lanterna Peninsula is the perfect place for your camping holiday. Choose Camping Lanterna for sea views, shady woodland, and camping luxury. Book your camping holiday at Camping Lanterna here. Pine and oak trees shade this relaxing holiday camping site, and the forest is great for couples or families, along with their pets, to explore. Get away from it all in the heart of the countryside, with towns and other amenities in easy reach. With activities on the campsite from tennis to minigolf, a full programme of entertainment for children, and sports for teenagers, you might have trouble dragging the kids away for a day out. The camp stretches along the coast, letting you swim, sunbathe and walk on the beach, with sailing and surfing for the more adventurous. As well as the sea, there’s a salt water swimming pool and a children’s pool. 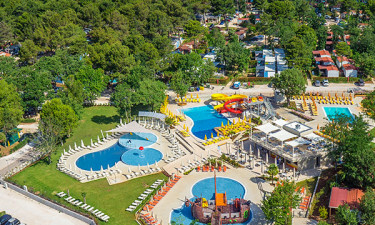 Camping Lanterna offers a new family Aquapark in 2016. The park will include many different waterslides as well as a new childrens pool and a large pirate ship. Furthermore a reconstruction of the main pool will be made, which is the pool near the beach front area. 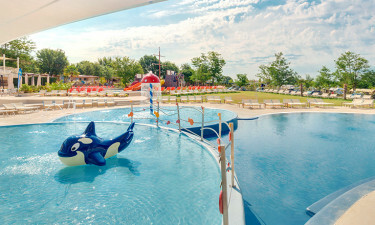 In the pool, a large amount of childrens water-entertainment will be established. Take a walk or drive in the surrounding area and you’ll find a choice of villages and towns offering local food and drink in restaurants, cafes and bars. There’s plenty of choice at the campsite itself, too, whether you want a snack or a full meal. Fast food outlets and bars are ideal for grabbing a quick bite, and there are bakeries for your fresh breakfast bread. 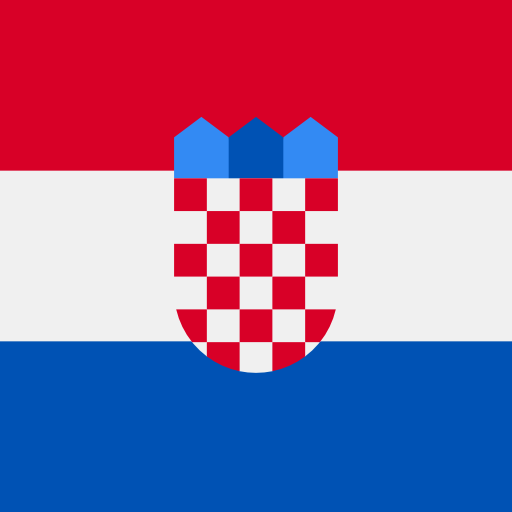 For special occasions there’s the Istria restaurant, which also offers free Wi-Fi. Shops at the site provide everything you might need, from daily necessities to little luxuries. The campsite shops are set out in a market square in the local Istrian style, making shopping fun. For serious shoppers, or for souvenir hunting, it’s easy to reach the larger town of Porec or the historic city of Novigrad, with its winding, mediaeval streets. Both towns are on the coast, and make a lovely day trip from Camping Lanterna.